New York, New York! My husband and I just returned from a fabulous long weekend in New York City. The picture above was taken as we approached LaGuardia. The trip was a surprise Christmas gift from my daughter and her husband. Thank you again Caitlyn and Jimmy! From early in the morning until late into the night we soaked up as much of this beautiful city as we could. Every time I am here, I marvel at its size, energy, diversity, culture, restaurants, nightlife, architecture, the list goes on and on! Today, I am sharing some of the highlights of our trip. I hope you enjoy my musings and are also inspired to take some time to visit or revisit this amazing city! Our home base for the weekend adventure was gorgeous and regal, The St. Regis in Midtown. Located conveniently two blocks from Central Park and on the corner of 5th Avenue and between Park Aveneue and 55th, this location was perfect for our trip! Our suite was exquisite and service impeccable. We deposited our luggage and ventured out. We explored the beautiful Plaza Hotel lobby with a destination in mind. Food! Quite hungry after our flight, we headed to the Plaza Food Hall. 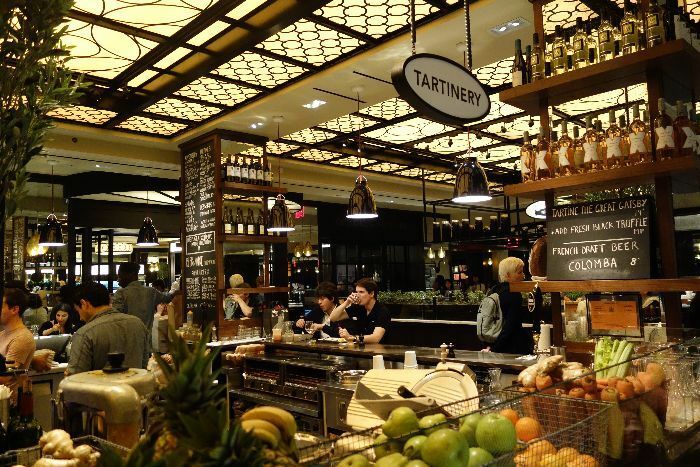 Located inside the Plaza Hotel is an upscale food court of sorts with a vast array of choices. It’s a bit of a hidden secret and a favorite for lunch with locals. We settled on Luke’s Lobster. Who doesn’t love lobster rolls? Lobster is one of life’s greatest foods! A stroll through central park is just what we needed after our indulgence. We enjoyed precipitation free, sunny weather all weekend. A hot shower beckoned to rejuvinate us after travel and a full day. Where do these hotels get such amazing bath/shower etc. products?! After a bit of rest and refresh, we headed out to Bobo for dinner. 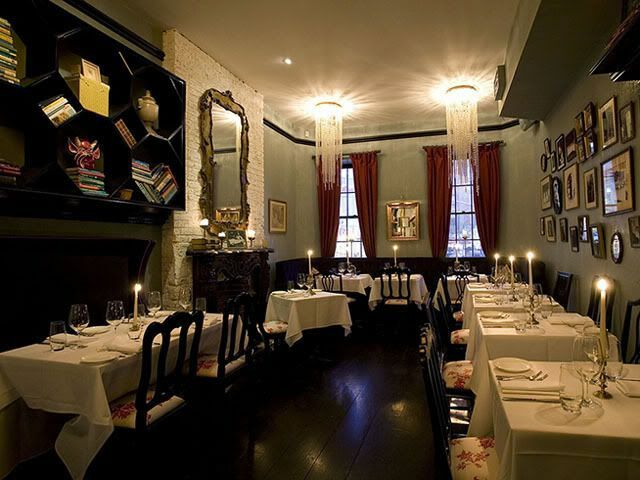 An intimate, charming French restaurant located in the West Village provided a different feel than Midtown. I had a delightful filet au poivre with pommes frites and Bill tried the grilled octopus and then a seared hangar steak. Our meals were delicious and service excellent! Next up was a visit to the Comedy Cellar. Located in the heart of Greenwich Village, this is THE place for comedy. We laughed our way through 6 different stand up comedians! Many of these comedians have national recognition appearing regulary on network television, cable and in movies! After a long day, we retired to our hotel in anticipation of another fun day ahead. A hearty breakfast started our day off right. 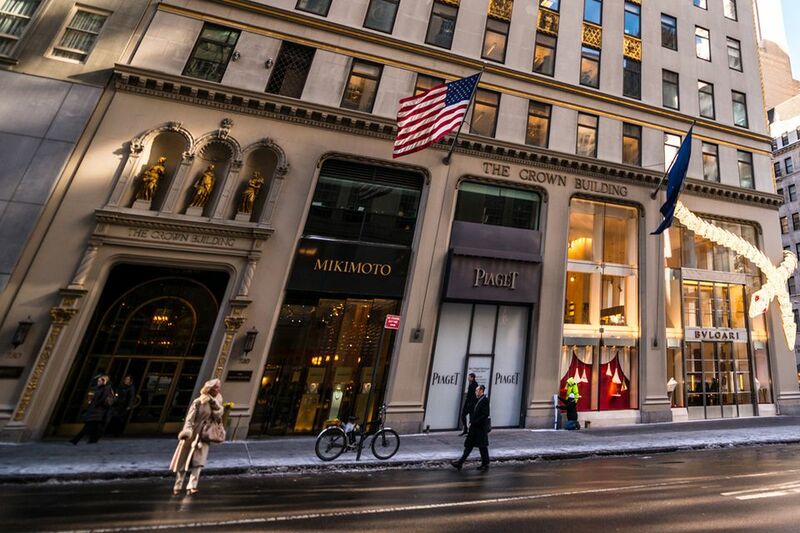 A walk down Fifth Avenue was in order Saturday morning. We did pop in a few of the stores just because it is Fifth Avenue after all! A visit to St. Patrick’s Cathedral should be on everyone’s list in Manhattan. They recently completed a $200,000,000 restoration on the church. It looks outstanding. Bill took an opportunity for a friendly chat with one of the priests. Rockefeller Plaza and its surrounding area added to a pleasurable morning. We missed the TODAY show in production, but peeked inside the windows to envision what takes place there daily. I have been hearing great things about the new Restoration Hardware in NYC, so I had to see it. I love their store in downtown Chicago, so I was anxious to compare. The building’s aesthetic is in keeping with their meatpacking district location. Wow, what a transformation this area is experiencing. The store/restaurant is beautiful, but I have to say I’m partial to its Chicago location in a Gold Coast mansion. Walk on the High Line! We were only a few blocks from this engineering marvel and decided to take advantage of a beautiful winter afternoon with a walk on it. If you don’t know, the High Line was built on an elevated freight line. The old train tracks are incorporated into the elevated park space. The 1.45 mile trail boasts beautiful landscaping, gardens, and art. We were off to an icon in the home furnishings industry next. I knew I would love ABC Carpet and Home. My design background craves these places. There are so many interesting and unique items, it’s impossible to choose! With all the walking, touring, and shopping it was time for some refreshment! An adorable restaurant resides inside of ABC Carpet and Home – ABC Cocina. A wonderful menu also offers a variety of margaritas. The jalepano margarita was delicious. Paired with guacamole and chips, it provided a perfect snack for the afternoon. The picture above is courtesty of the restaurant. The place was packed when we dined there, and we shared a community table with some other lovely people. Our day could not be complete without a visit to the The Metropolitan Museum of Art. I would love to spend days here! Every gallery we visited captured our attention and captivated our hearts with its beauty. With darkness approaching, it was time to return to the hotel and prepare for our evening out. 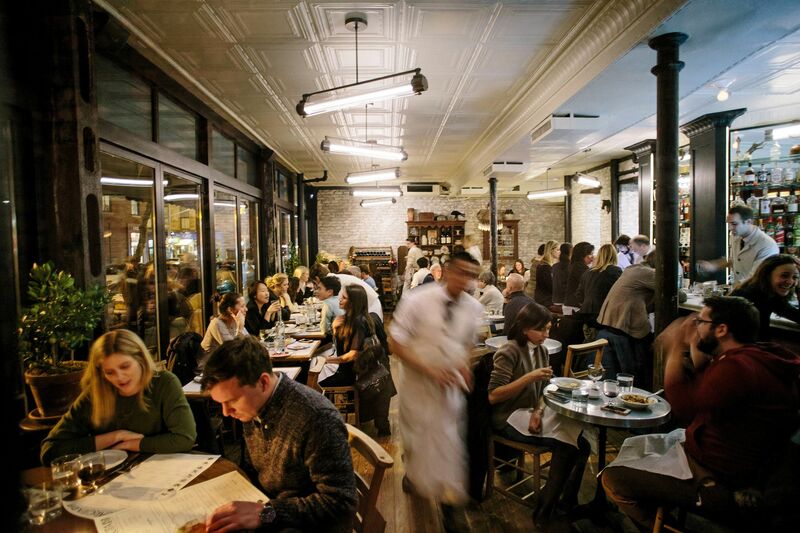 This tiny Italian restaurant in the West Village, Via Carota, does not take reservations. It comes highly recommended for good reason – the food is outstanding. Just beware, we waited two hours for a table! Bill and I had the good fortune to be waiting next to an adorable young couple. We befriended them and they joined us for dinner. What a delightful surprise it was to hear about their fascinating lives in New York. We enjoyed a nightcap at the hotel bar. I know the pictures are a bit blurry, but it was very late! Rise and shine! Another day in NYC awaits! The haunting images, spoken words, and visual reminders define the 9/11 Memorial Museum. This is a must for all Americans! Bill and I spent close to 2 1/2 hours here and it wasn’t long enough. I applaud those who put together this tribute to everyone who lost their lives and all those who came to the rescue of others during this horrific event in our country’s history. It also celebrates the rebuilding and strength of our magnificent nation. Emotionally drained we returned to our hotel. Hungry, we decided to try Burger Joint. What a discovery! Shrouded behind velvet curtains tucked in an obscure corner inside The Parker Hotel, this dive burger spot is all the rave. We were fortunate and snagged a table. The line built as we were eating. We both devoured a perfect burger with the works and fries. NYC is home to the original restaurant with another in Brooklyn, 6 in Brazil, 1 in the United Arab Emerates and 1 in Singapore. I needed to walk off all that delicious burger and fries. (yeah right – more like a week in the gym for those calories) Walking and the fresh air felt good, so we ventured farther to take in Times Square. I must admit, this is not my favorite part of New York at all, but it is always cool to see! With time running out, we headed back to the hotel to prepare for our flight back to Chicago. Goodnight and goodbye New York….until next time!